Fire is something we always need when camping or backpacking and finding a fireplace in remote areas does tend to become somewhat of a problem. With new laws, it also becomes harder to make fires in the woods, but when you can, you should have the right equipment to ensure that you can make a great and lasting fire. 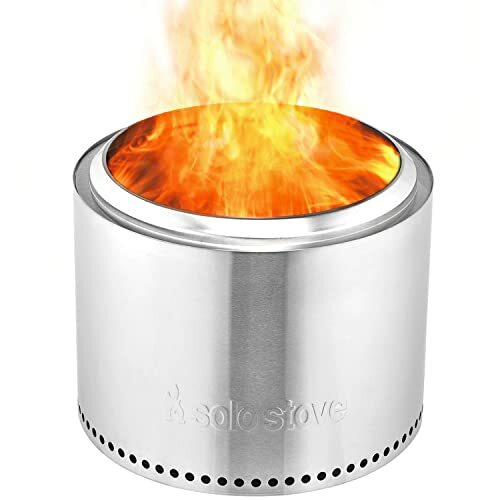 The Solo Stove brand is known for creating these innovating and lightweight stoves that make it easier for you to make and control your fires. They have a wide range of stove designs that should be perfect for every situation. We have tested and tried these stoves and we will let you know how good they really are. Since we love the environment but pollution and damage is destroying it, it becomes more imperative to start doing things that will protect the nature. When outdoors and making fires in a pit, you might make a few mistakes and this could lead to potential bushfires that will damage the environment. These stoves are designed to eliminate this risk and you will no longer need to fear burning down the tree line. If you have children around, falling embers might also be a problem and when they play, they might accidentally step on these red-hot embers. With a secure stove, all of the embers will be kept inside and you will not have to worry about the children burning. 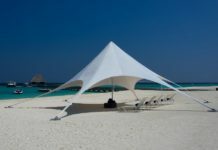 Once you are done, you can dispose of these embers and bury them in some sand to avoid any potential fires or injuries. 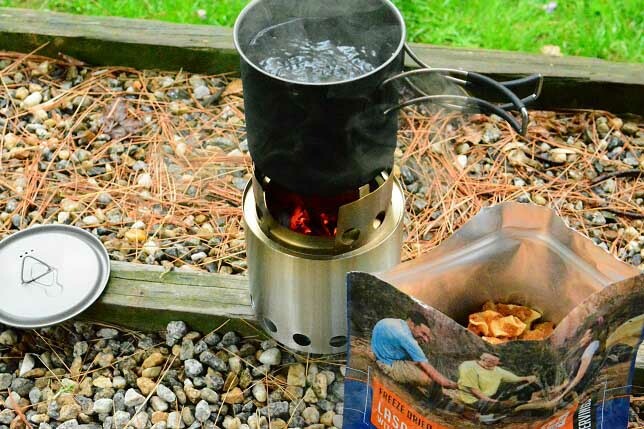 Portability is key and one of the most essential parts of an outdoor stove. 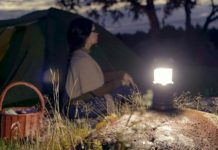 Since you will be using it on your camping trips, it doesn’t enhance the weight too much and it should not be any troubles to carry along from a camping spot to another. The weight also closely links into the portability and if the weight is too heavy, it will become a drag to carry around and you will not have as much fun in using it. A lightweight steel option is the best in terms of durability and keeping the weight to a minimum. There are many different stoves available with different fuel sources and the most common option is generally gas. However, gas is not as great for the environment as using natural twigs and wood and the natural method is also much more affordable. The fire might take a little longer to get started, but it is easier and affordable to keep going for prolonged periods. The durability of an outdoor stove hinges on the materials of the base. Steel is the best option and will not be too heavy to carry if you need to move it around from place to place. 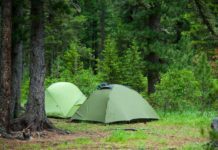 Since these pieces of outdoor equipment can be quite expensive, buying a good durable product will give you long-term use and save you some cash in the long term. Last but certainly not least, you should consider looking at the accessories and the prices of these products if you need to buy them separately. The Solo Stove brand also includes accessories like the Solo Stove Po﻿﻿t and the Solo Stove Tripod. These accessories are really affordable and help you when it comes to cooking your favorite dishes. 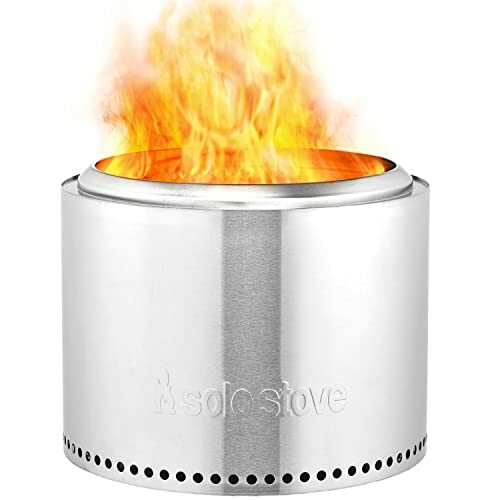 Smaller brands might even have a few of these included and for cooking purposes, having a durable pot that fits on the fire will be beneficial and you will not need to damage or even burn your expensive home pots on your camping trips. 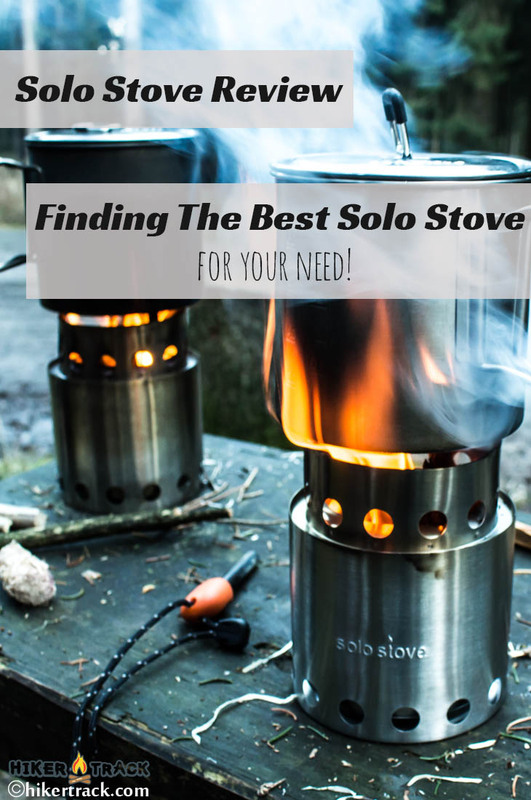 Solo Stove features 4 different designs and they have different purposes for your trips. You can invest in more than one of them and they are quite handy at home as well. Here’s a small breakdown of the 4 different designs they have and which one will be the best for you to choose before we review each of them to show you a deeper insight. 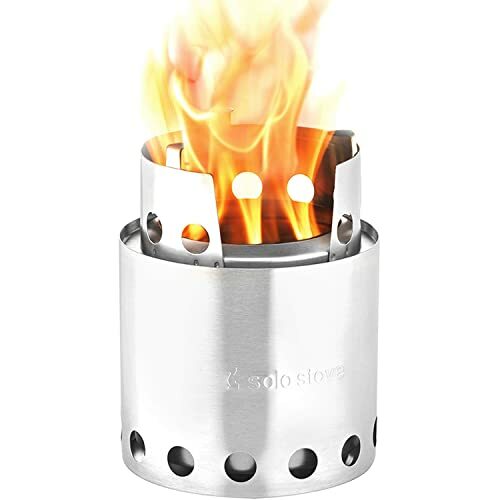 - Solo Stove Lite: This is the smaller edition designed for those 1 or 2 person camping and backpacking trips. It weighs around 0,56 pounds and features dimensions of 4.25 x 3.8 x 3.8 inches. It is perfect for the solo backpacker and can be carried by one person with baggage. 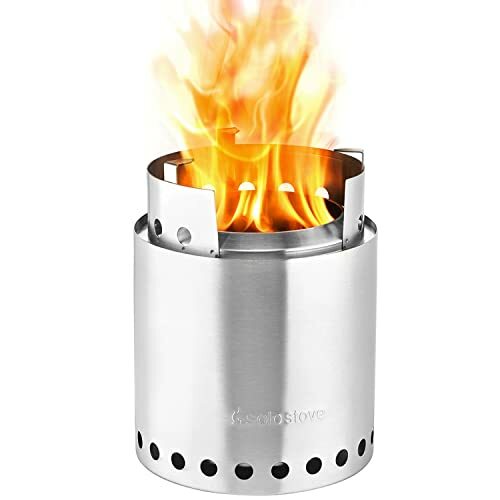 - Solo Stove Bonfire: The Bonfire is also made from top quality stainless steel and it is designed for larger groups of people. It weighs around 20-pounds and has dimensions of 14 x 19.5 x 19.5 inches, which makes it perfect for outdoor bonfires on the patio or even in the wilderness. 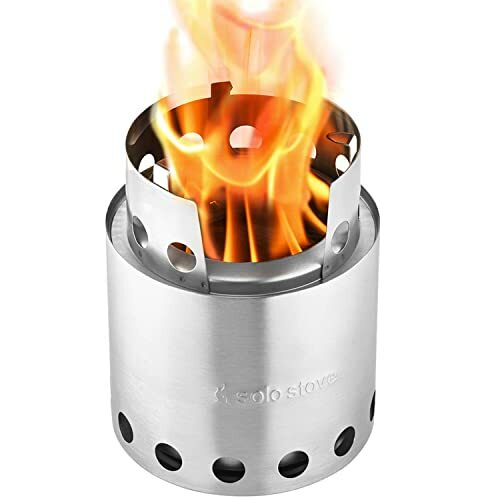 - Solo Stove Campfire: The Campfire is designed to be lightweight for more than 4 people. The base is quite large and weighs around 2.2 pounds and it has dimensions of 9.5 x 7 x 7 inches. It is designed for groups of friends and even smaller families looking to enjoy the outdoors with a fire but can be used at home as well. - Solo Stove Titan: The Titan is the perfect one for couples and it is the perfect size for cooking meals. It weighs around 1.03 pounds, making it light enough to be carried on backpacking trips. The dimensions are 5.59 x 5.12 x 5.12 inches, small enough to be carried by one individual on a camping or backpacking trip. Now that you have a basic understanding of these stoves and their features, you should know exactly how these products work and which benefits they can potentially offer you. It is nice to know how big the different designs are and for how many people they work, but are they really effective. We have done the legwork and tried out all of these designs to see how they will match up to your needs. The Solo Stove Bonfire is the largest of the bunch. It might not be ideal for backpacking and it weighs in at around 20 pounds. This does make it heavy to carry around. However, it is also extremely durable and will create a ton of heat to keep everyone in the close area warm. 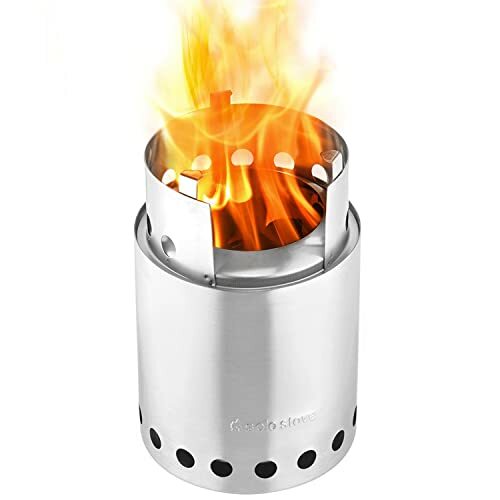 The bonfire also uses natural fuel to get started and having the aluminum windscreen will be a great way to get the fire started quickly if you are faced with windy conditions. The only real downside is the weight and the price. 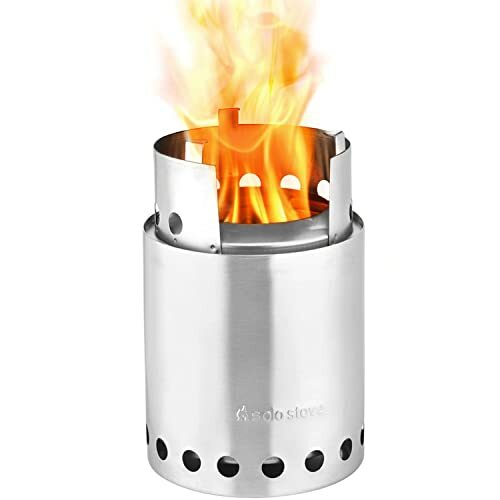 This model is great for bonfires at home or when camping, but since camping bonfires are banned virtually anywhere, it is great for having around the home or when entertaining guests. The price is quite expensive, but you are assured of great value for your money. Designed for 2-4 people, the Solo Stove Titan is made from top grade stainless steel. It is one of the lightest models and just big enough for you to add your cooking pots when preparing a meal. It takes around 4-6 minutes to boil 34 ounces of water and make you coffee in the mornings. The design is quite small and portable and one person should be able to carry it. The Nichrome wire gate keeps all of the coals and embers at the top, whilst the oxygen is allowed to freely flow underneath. During tests, we found it to be best for couples on backpacking trips and the small intimate design allows enjoying a romantic evening with the campfire. The Stove itself is also quite affordable and it is recommended for use outdoors at home or in the wilderness. The design is durable and never fails to make a fire. It definitely is one of the safest ways to enjoy cooking outdoors. While a little larger, the Solo Stove Campfire is ideal for a family get-together or camping trips. It is also designed from the same top quality materials and boils 34 ounces of water in an impressive 2-4 minutes. The larger design means that you could cook with bigger pots on it and cook more food much faster if you are using it for cooking. For this larger design, we would definitely recommend the Solo Aluminum Windscreen to ensure that you keep your smoke inside when starting the fire. It also keeps the heat trapped and when you get closer, it should be ideal for keeping warm in the winter. The durability is definitely one of the main features that stand out and this campfire design can be used for many years. It is still quite affordable when compared to many other stainless steel stoves and will be perfect for the entire family. We even had many people from nearby tents coming over to look at the design and how it works. It is also safe for the environment and we would recommend it for home use and outdoor camping purposes. 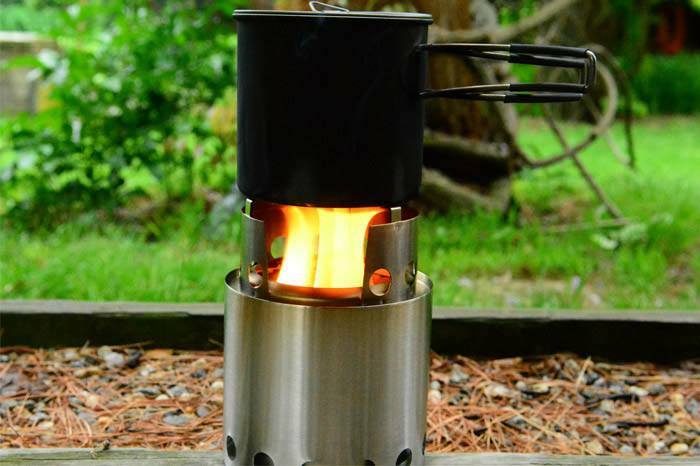 The Solo Stove Lite is like the baby brother of these designs. 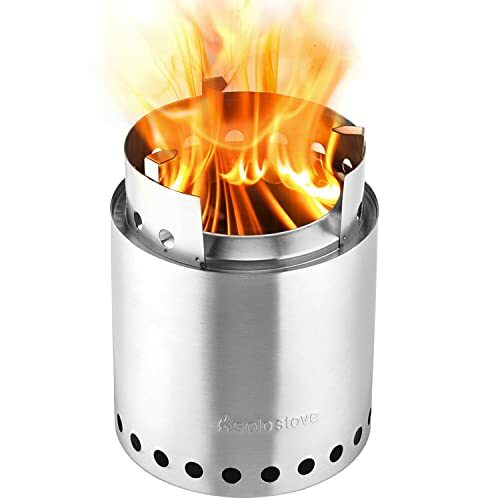 It is the ultimate backpacking stove and can be carried without much hassle. The design is small and compact and still has the ability to boil around 34 ounces of water in 8-10 minutes. What makes it such a great investment is the fact that it can be stored inside your backpack for more carrying convenience. 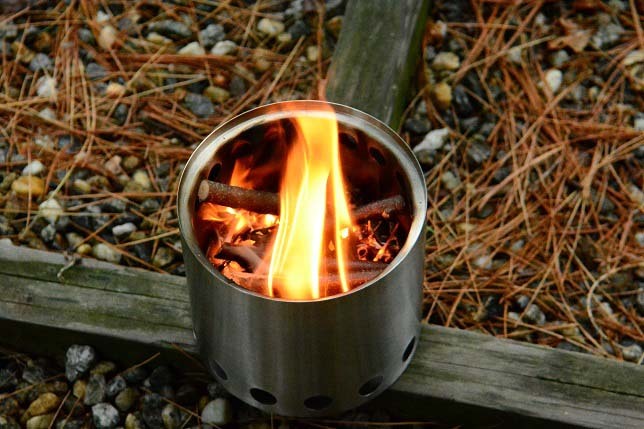 Made from the same quality stainless steel, this stove uses natural twigs and wood to get started. Keeping it going is quite easy and the ventilation holes will give the fire enough oxygen to burn freely. Since it is smaller, it is also much easier to clean and after each camping or backpacking trip, you can simply wipe it down and let it dry before packing it away. This design is the cheapest and highly recommended for single person backpacking trips. It is still effective for couples, but you might need to cook twice, depending on the size of the steak if you are using it to cook your meals. It is also the perfect thing to break out if the children are feeling like roasting marshmallows. Now that you have seen what these stoves are made of and how the Solo Stove Brand can help you transform your outdoor experience, we would like to know which of these models you would choose. Please let us know in the comment section if you like these models or if you have ever used any of them, and how the experience turned out. Next articleHow To Fix Heel Slippage In Boots In 7 Simple Steps – Know It Here!